Vanilla, chocolate, cookie dough, Neapolitan – Ah yes, the classics. 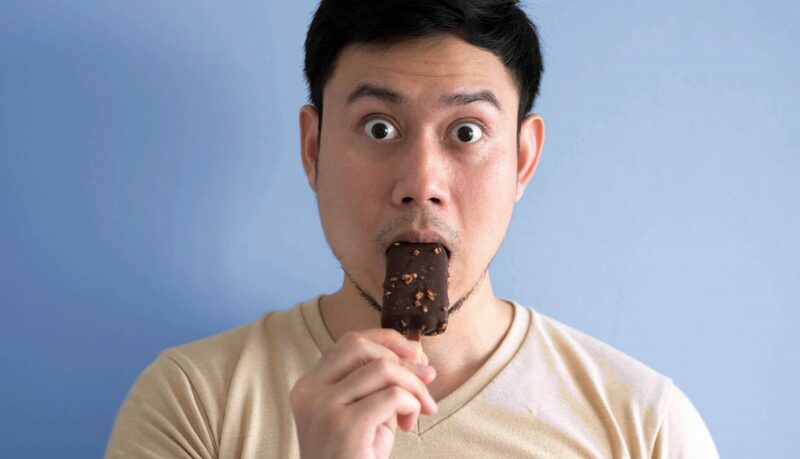 For the adventurous among us, there’s always new and exciting Ben and Jerry’s flavors to be savored and enjoyed, but what happens when Cherry Garcia is no longer thrilling enough? What happens when you want to live on the wild side…when you start craving something bizarre, unknown, and potentially even a little morbid? Well my friends, then you’ve stumbled upon the right list. 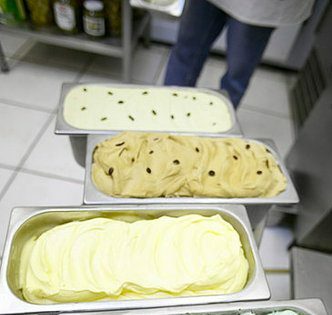 I proudly present, the craziest ice cream flavors from around the world. Gather ’round everyone, and I shall tell you a little story. You see, cicadas spend years and years underground, and then emerge to blossom into the loud, flying creatures that we know them as. Some years have larger hatchings than others, and one summer in Columbia, Missouri, the brood was of biblical proportions. So what to do when your town is overran by swarms of cicadas? Upon immediate publicity over the new flavor, Sparky’s ran out within a few hours. One lucky patron who was able to try the frozen treat compared the flavor of cicadas to that of a crunchy peanut. The smell of durian has been compared to old gym socks, vomit, and rotting flesh. Even worse, it’s a smell that lingers. If you’re in the same building as a durian, you’ll know it. The texture isn’t any better. 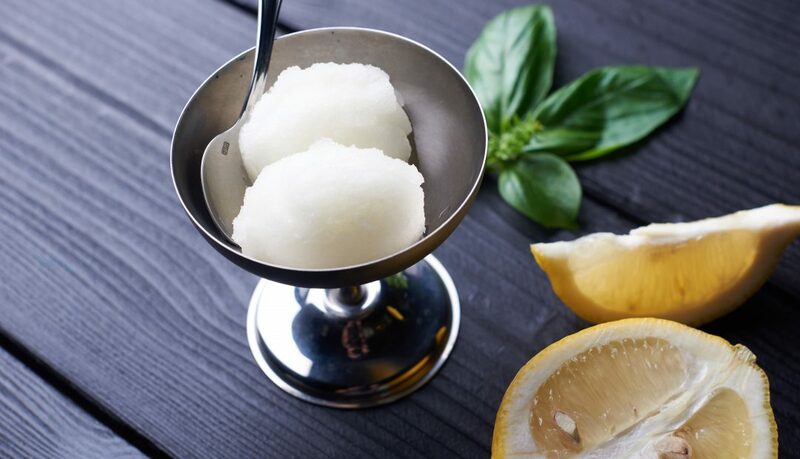 For those who wish to enjoy durian on even the hottest of summer days, KFC in China has answered your prayers and has brought durian ice cream to the masses! And KFC isn’t the only fast food joint in Asia jumping in on the durian game. McDonald’s offers a durian McFlurry, and Pizza Hut even offers a durian pizza. 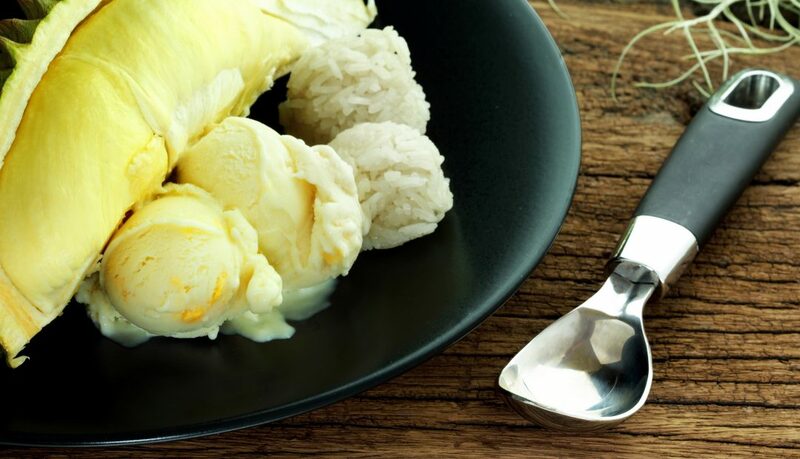 One thing is certain: When you’re in Asia, remember – Durian is considered the King of Fruits. Eating durian while in Asia is practically a rite of passage for travelers. 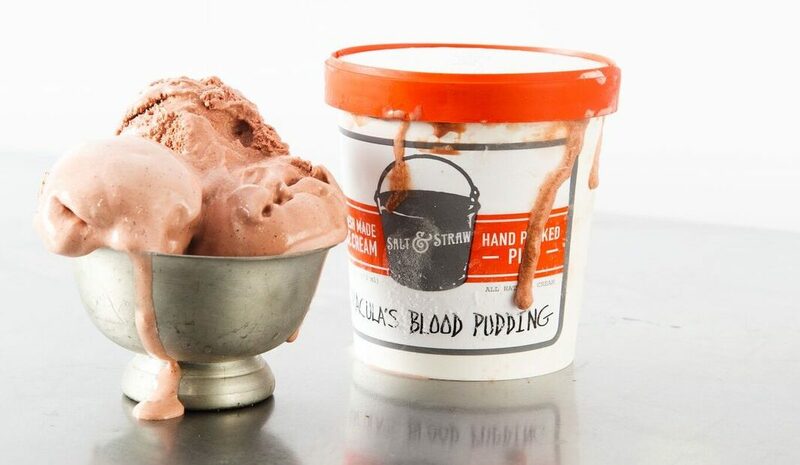 So why not take the easy route and try it as an ice cream, rather than do what I did, and shove a giant chunk of it’s grotesque flesh into your mouth, just to throw it back up. 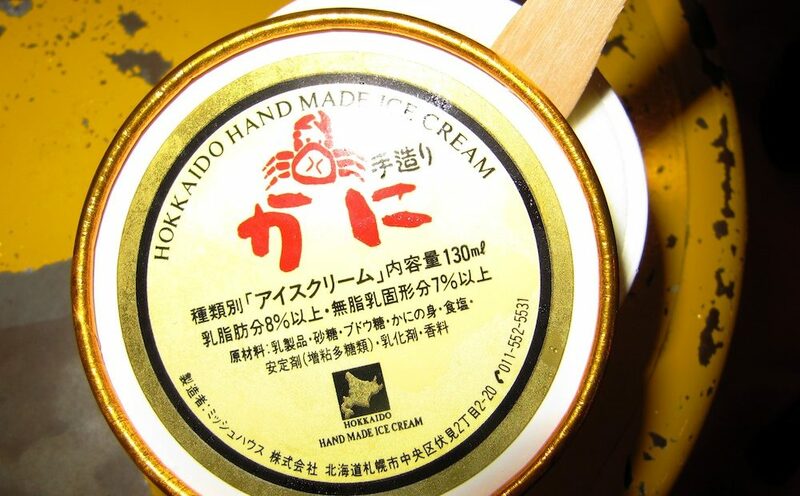 Crab ice cream is actually rather popular and commonplace in Japan. Known as Kani aisu, the dish is more savory than your typical ice cream flavors. In fact, some have described it as being like a frozen crab bisque. If you’re looking for some of Tokyo’s best crab ice cream, along with a whole bunch of other wacky (and some which are highly unethical) flavors, you should head to Namjatown and hit up Ice Cream City. Remember that movie Hostel? Where people get to live out their sick and twisted fantasies? Well, Ice Cream city is like the Hostel of the ice cream world….you’ve been warned! If you’ve ever been in a shop that’s high-class enough to sell manuka honey, then you know… it’s expensive. Manuka honey is a monofloral honey from the blooms of New Zealand’s manuka tree. The honey is world renowned for its healing properties, both for the skin, and immune system. The honey is so heavily prized that it undergoes countless verification tests for purity, including the UMF, MGO, MPI, and Kfactor test. Small jars of the high quality honey can cost upwards of $100. 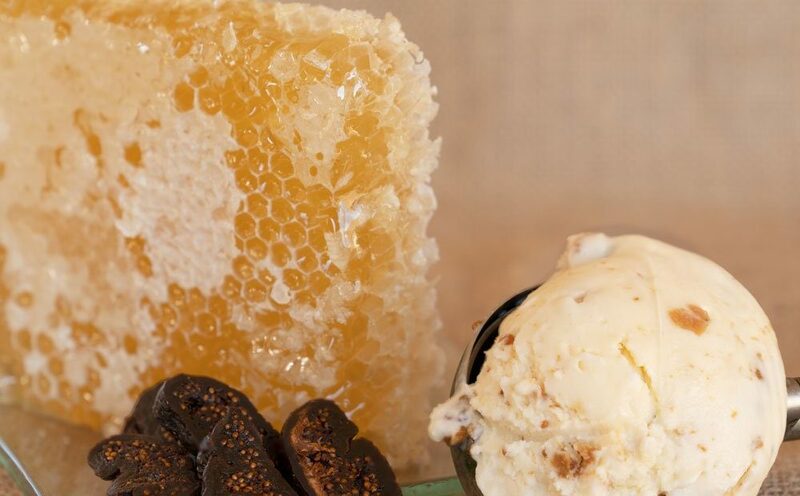 In New Zealand, though manuka is still expensive, it’s nowhere near the price outside of the country, and the cheaper price means it can be used for more things…including Pure NZ Ice Cream‘s delicious manuka honey and fig ice cream. Others seemed to be just as torn as we were. The vinaigrette-like flavor had a way of dividing the crowd. In the end, it’s something you’ll just have to taste to experience on your own. Perhaps you’ll love it, perhaps you’ll hate it, but at least you tried it. And isn’t that what travel is all about?